With the development of China economy from top speed to a high-speed "new normal", consumption economy especially represented as culture, sports and tourism are gradually becoming the main power for China economic transformation and upgrade, and also the innovation-driven force. Our state will raise the national health leisure to the height of the national strategy, and make winter sports as the breakthrough initiate sports consumption. 2022 Beijing Olympic Winter Games and the implementation of 300 million people involved in ice and snow will bring social capital into the winter industry, promote ice and snow, tourism, culture and other industries integrate cross-border, boost consumption and upgrade whole winter industry. In this context, winter sports, mountain sports and sports tourism are achieving a historic leap. 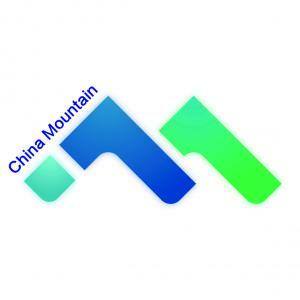 China (Beijing) International Mountain Sports and Technology Equipment Expo (China Mountain) held by Winter Cause, will be grandly opened on May 17th-19th, 2018 at Beijing Yichuang International Expo Center, which will include 15,000sq indoor areas and 10,000sq outdoor areas. The expo got the support from Beijing 2022 Committee, China Ski Association, China Ice Hockey Association, China Skating Association, China Forestry Industry Association, China Four Season Resorts Alliance, China Mountain-Climbing Association, China Tourism Automobile and Cruise Association and etc. The expo will attract more than 200 enterprises from about ten countries around the worldwide, 20,000 mountain sports industry related practitioners and 200 professional or mass media for on-site report, also three main forums and thirty professional sub-forums about high-end industry topics will be launched. B2B communication will be the main goal for the participants, we wish we can help our members of ski resorts solve the winter technology and summer content. This expo will center on winter mountain sports technology equipment, summer mountain sports technology equipment, mountain sports ancillary sports, ice sports facilities & equipment, and sports tourism. On the 12-years basis of China Skiing Industry Forum, to create and promote the ecosystem platform of mountain sports then to build a first-class mountain expo in Asia. For more detailed info, please visit our official website www.mountain-expo.com , or e-mail to info@mountain-expo.com .